The designer behind Filip + Inna works with artisans from indigenous communities to give back opportunity and inspiration to them. Despite the buzz about her designer label, Filip + Inna, Lenora Luisa “Len” Cabili has her feet solidly planted on the ground. Sure, she is excited more stores abroad want to carry clothes from her collection, and that those she already deals with have been consistently selling out her clothes. But she also feels that Filip + Inna still has a lot of growing up to do. “We’re such a small company,” she said when asked about the brand’s recent successes. She knows she has yet to scratch the surface. “My first five years in business, [I] was winging it,” said Cabili. But now, she is determined to grow the brand, not only for the sake of the business, but also for the growing number of artisans now depending on Filip + Inna for their livelihood. It just seemed natural for Cabili, a clothing technology graduate from the University of the Philippines, to create a label that marries indigenous Filipino designs with contemporary fashion. The result is a collection of chic contemporary clothes which sport embroidery, beading, and other embellishments made by hand by artisans from indigenous groups around the Philippines. But it was not until 2010 that Cabili decided to set up Filip + Inna. Becoming an entrepreneur was not a stretch for Cabili, though, as she had managed her mom’s Coleman business for 12 years, and even holds a master’s degree in entrepreneurship from the Asian Institute of Management. 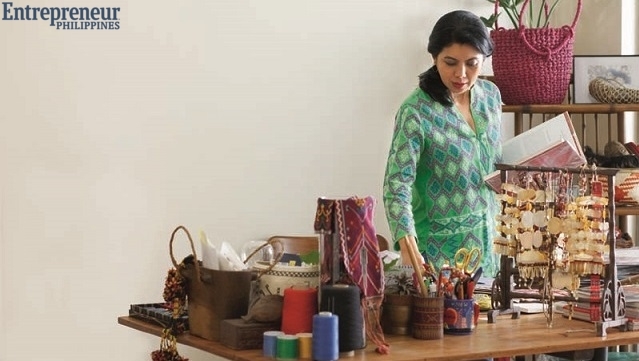 At the onset, she knew that to make the business sustainable, she had to market the brand overseas where people do not mind paying more for quality clothes. It is a strategy that is still true up to now as she tries to grow the business. In 2014, Cabili launched the brand’s men’s and children’s lines, and also collaborated with retail brand Bayo for a capsule collection, which was commercially and critically well-received. She has a growing following in the US, but she hopes to hit more stores in Europe and other parts of Asia. 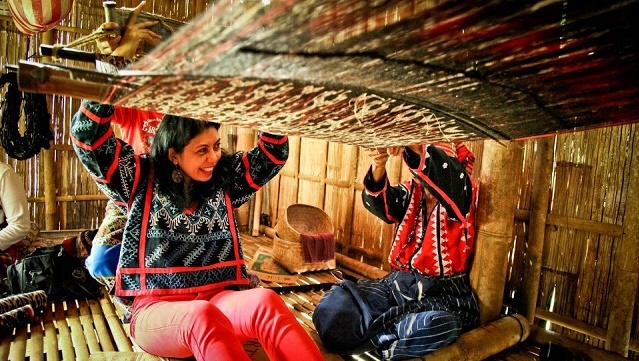 But Filip + Inna would not be where it is now if not for the artisans Cabili works with—around 150 skilled workers from 12 indigenous groups in the Philippines, and growing. At the onset, Cabili did not realize that she was making a difference in the lives of the artisans or their communities. But, a year after starting Filip + Inna, her artisans—mostly women—told her how the income from Filip + Inna had allowed them to leave farming, but still help their husbands raise their family. “That was a turning point, because I knew it was serious. I realized I couldn’t allow it [the business] to fail. At that point, I knew I had to make sacrifices.” One of the sacrifices she made was to put off her dream of living in New York. The year 2013 was a turning point for Filip + Inna; that was when Cabili decided to expand operations. 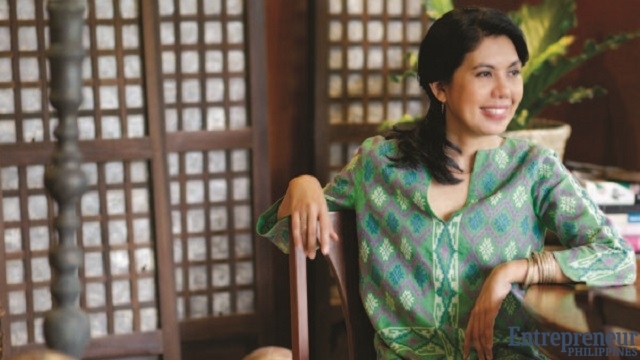 She hired a production manager, took on more seamstresses, and set up a workshop in Taguig. Whereas for its first three years, Filip + Inna had a “me, myself, and I” setup, that year she decided to build production capacity in order to make more clothes, and get clothes to buyers faster. But she would not have it any other way. Despite the challenges, Cabili vows to work with artisans in bringing her designs to the market. Because of Cabili’s work with artisans, the founders of sustainable lifestyle store ECHOstore chose to work with her for the Great Women Project to help women in poor communities become entrepreneurs. The project is backed by the government, NGOs (non-government organizations), and private sector agencies. Cabili knows that in order for Filip + Inna to succeed, she must take care of both the clients and the artisans. “As an entrepreneur, sometimes you’re confronted with so many things. So, it’s very important to keep it simple. I just need to keep the artisans and the clients happy. In terms of the artisans, I pay them well. And for the client, I come up with good designs. It’s all about the artisans and the clients,” she said. This article was originally published in the March 2015 issue of Entrepreneur Philippines magazine. Read the article as it appeared on entrepreneur.com.ph here. Our year is off to a great start with this feature from Forbes as one of the brands to add to your wardrobe in 2019 ! Filip+Inna welcomes 2019 with a new website. We invite you to share in our journey as we tell stories from our first 10 years. Filip+Inna's Founder, Len Cabili, was chosen as part of PeopleAsia's "People of the Year" for 2019 alongside other business, political, social and cultural heavyweights.